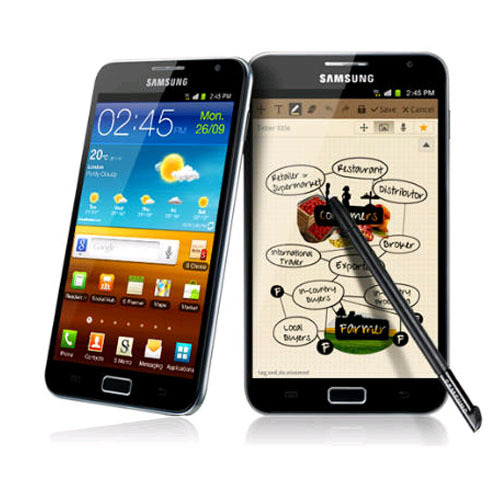 Users of Galaxy Note N7000 users can now upgrade their devices with the admired Rocket ROM firmware which ropes into the ICS 4.0.4 firmware. This firmware is just not highly features but it also comes with the feature of most stable feedback. We should be thankful for this firmware to one of the recognized XDA developer. So, let’s check out the tutorial to apply this update. Disclaimer: We should not be held responsible for any damages that might occur to your device while following this firmware update procedure given below. This ICS 4.0.4 Rocket firmware update is available only & only for Samsung Galaxy Note N7000 models. So don’t try it with any other models of Samsung Galaxy Note. Take full backup of your personal data like SMS, MMS, contacts list, Call logs, etc., from the device, so that if they are lost during the update process, you can use the backup to get back the data. Keep a minimum of 50% battery level in your device to ensure that it won’t get switched off during the update. Ensure all the antivirus applications in your device and computer are switched off, to avoid any disruption from them. Once you have performed all these pre-requisites, you can go ahead with the main update procedure which is given below. To get started, download Rocket ROM Firmware Package in your computer and transfer the same to your device with the help of USB data cable. Upon successful transfer, disconnect the device from the computer and turn it off. Now press the Volume down Key + OK button simultaneously and while doing so, press the power button to make the device to enter into the recovery mode. In recovery mode, select “install zip from SD card” followed by “choose Zip from SD card” and select the Rocket ROM firmware update package. The installation will begin and it will get completed with few minutes. Once the installation is over, the device will land back in recovery mode. Now, select “Go back” followed by “reboot system now”. Upon successful reboot, your device will boot in normal mode. There you go! Now you have successfully updated Galaxy Note N7000 with ICS 4.0.4 Rocket ROM Firmware Android Device.